‘The Puzzlers Arms’! is the title of this brilliantly funny Wasgij Destiny 19, 1,000 piece jigsaw puzzle. Do you remember when you could walk into a pub and you would know everyone in there? Do you remember when a drink wouldn’t cost you an arm and a leg? Try to imagine what this pub would look like in modern day, the interior would have changed, but what else might of? This is the scene you will have to puzzle. 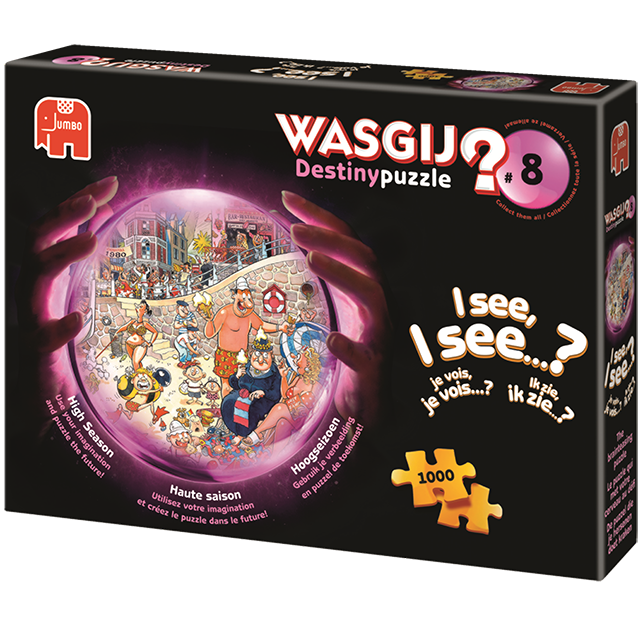 Discover the Wasgij Destiny collection!